With a stay at Altis Grand Hotel, you'll be centrally located in Lisbon, steps from Cinemateca Portuguesa Museum and Medeiros e Almeida Museum. This 5-star hotel is 0.4 mi (0.7 km) from National Museum of Natural History and 0.6 mi (0.9 km) from Botanical Garden. 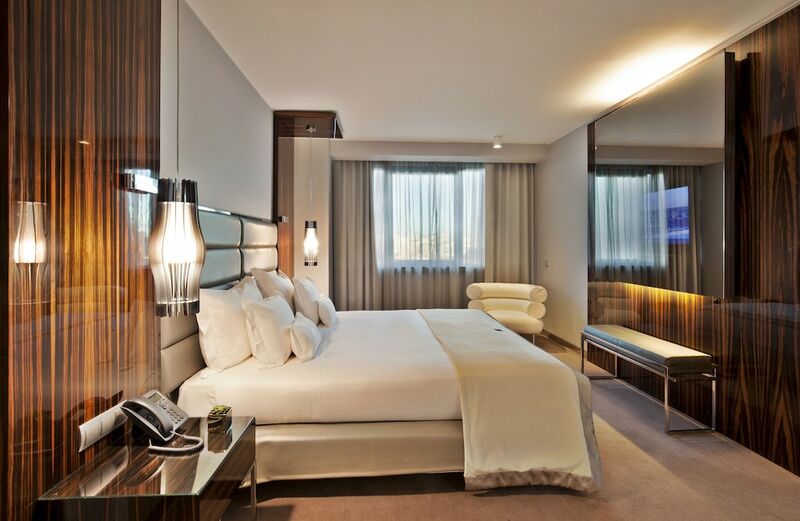 Make yourself at home in one of the 300 air-conditioned rooms featuring minibars and LCD televisions. Complimentary wireless Internet access keeps you connected, and cable programming is available for your entertainment. Private bathrooms with shower/tub combinations feature designer toiletries and bidets. Conveniences include phones, as well as laptop-compatible safes and desks. Relax at the full-service spa, where you can enjoy massages and facials. You're sure to appreciate the recreational amenities, including an indoor pool and a fitness center. This hotel also features complimentary wireless Internet access, concierge services, and babysitting/childcare (surcharge). Grab a bite at Grill Dom Fernando, one of the hotel's 2 restaurants, or stay in and take advantage of the room service (during limited hours). Buffet breakfasts are available daily from 7 AM to 10:30 AM for a fee.